This tribute to the remarkable life and work of Pete Seeger will uplift and inspire. A great audience sing-along! 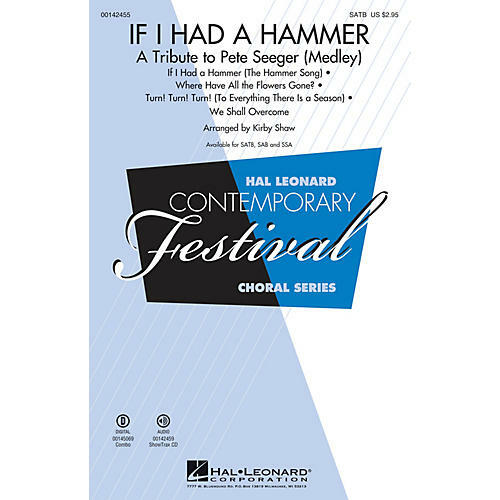 Includes: If I Had a Hammer (The Hammer Song), Turn! Turn! Turn! (To Everything There Is a Season), We Shall Overcome, Where Have All the Flowers Gone. ScorePlay - click to view score with recording.